Get ready for the next age of humanity. The age of the machine is well underway, and there is a very good chance that humanity will be left behind. Artificial intelligence is beating us at poker. It is beating us at Go. It is saving lives by identifying diseases when human doctors fail. It is running our grocery stores. It is driving our cars. AI is even making other AI. Soon, very soon, our computers will surpass us in every skill imaginable. 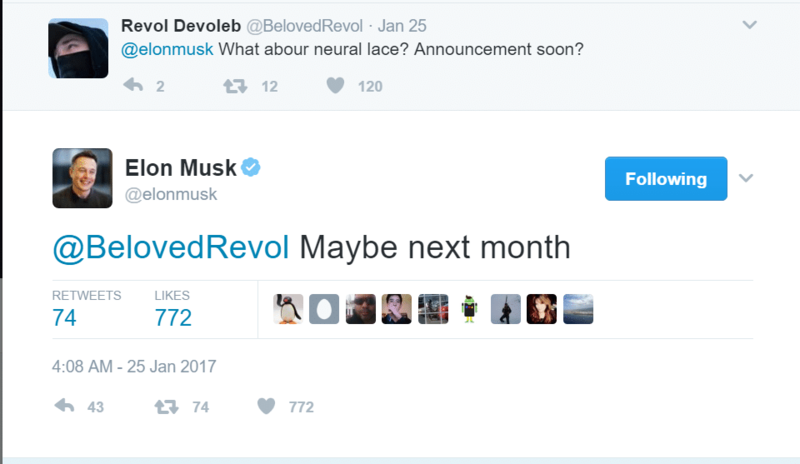 However, Musk isn’t the only one working to ensure that humanity can keep up with AI. Braintree founder Bryan Johnson is investing $100 million to make a neuroprosthesis to unlock the power of the human brain and, ultimately, make our neural code programmable. Yet, Johnson’s company, Kernel, wants to do more than just allow humans to interface with machines. His neuroprosthesis is intended to also repair our cognitive abilities, which will allow it to combat neurological diseases, such as Alzheimer’s, ALS, Parkinson’s, and other conditions that destroy our brains…and our lives. This is just the beginning. Such advancements could allow us to literally program our neural code, which would allow us to transform ourselves in ways that we can’t even imagine. We could literally program ourselves into the people that we want to be. In short, the devices under development works by replicating the way that our brain cells communicate with one another. The tech envisioned is based on 15 years of academic research that was funded by the NIH and DARPA. So get ready. Human superintelligence is only a matter of time.